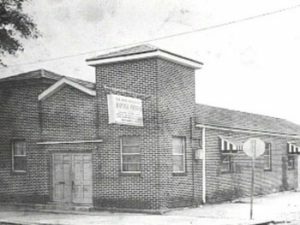 New Home Missionary Baptist Church was first established in 1918, in New Orleans, Louisiana on the corner of Howard Avenue and South Robertson Streets, with a small group of followers led by the senior deacon of the church. Rev. G. W. White was elected as the first pastor of the church. He served for several years and was succeeded by Rev. R. H. Royal, who was elected as Pastor in 1924 and served for only a short period. In 1925, Rev. Marshall Lewis, Sr. was elected pastor. 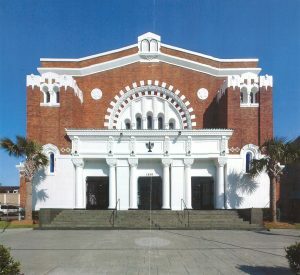 It was during his leadership, in 1927 that the church became incorporated with the state of Louisiana under the official name of New Home Missionary Baptist Church of New Orleans. During the tenure of Rev. Lewis, the congregation grew to over 200 members. With the need to expand, the church moved from its original site to a larger location at 3140 Jackson Avenue. Rev. Lewis served as pastor until his death in 1946. In 1947 Rev. Murphy Smith was elected pastor and served until 1952. During the term of Rev. Smith, the construction of a new church building at the Jackson Avenue location took place. After the death of Rev. Smith in 1952, Rev. Freddie H. Dunn was elected pastor in 1953. He was a dynamic and influential leader throughout the New Orleans area. During his leadership, the membership continued to grow, and the construction of another building became necessary to accommodate the increase in membership. 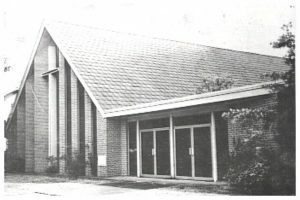 In July of 1962, a new church building on Jackson Avenue was dedicated. In October 1964, Pastor Freddie Dunn submitted his resignation as pastor of New Home to take on the assignment of pastor of the New Hope Baptist Church. Upon his leaving, many of the members followed him, leaving behind only a committed few. Under the direction of the Louisiana Freedmen Association, the search for a new pastor of New Home began. During the quest for a pastor, Rev. Willie Hausey, President of the Freedmen Association officiated over the operations of the church and provided the guidance and directions needed during that time. After much prayer and deliberation, a young man from Woodville, Mississippi, by the name of Robert C. Blakes was chosen to become Pastor of the New Home church. In January, 1965, he was ordained and installed as pastor and began his pastorate with only 30 members who remained with the church. Facing many challenges with only a handful of members and a lack of finances, he proved to be a man of faith who put his trust in God. The church grew and prospered despite the many obstacles that were present. To bring multiplied thousands into an intimate relationship with Jesus Christ by practicing and effectively communicating, on all levels, the full gospel of Jesus Christ; its principles, promises and power, thereby meeting the needs of the whole man (body, soul and spirit). Robert C. Blakes, Sr., a native of Woodville, Mississippi resided in New Orleans, Louisiana for over 50 years. God called him into ministry in 1959, and in 1965, he was appointed Pastor of the New Home Missionary Baptist Church. In 1977, God brought about a miraculous change in his life and called him to be a Prophet to the nations. This change caused him to take a tremendous leap of faith into the fivefold ministry, where God used him mightily, with signs and wonders following. The powerful words “WHAT PRAYER CAN’T DO, CANNOT BE DONE” were given to him by the Holy Spirit, and he adopted it to describe the ministry God appointed him to. He sincerely believed and lived by those words. He was known as a MAN OF VISION, for his great accomplishments in the office of APOSTLESHIP through establishing thriving churches in southeastern Louisiana and Texas. 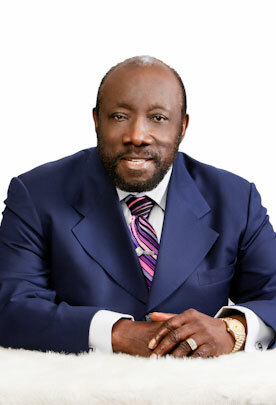 He was also known as a MAN OF INTEGRITY, as he continued to be the mouthpiece of God to many thirsty souls longing for a true word from God through HIS PROPHET. Thirdly, he was known as a MAN OF DEDICATION because of his commitment to reaching lost souls and wounded hearts through EVANGELIZING, PREACHING and TEACHING the uncompromised Word of God. He was perceived by many young men and women as a “Father” in ministry. He labored in love as they flocked to him seeking Godly wisdom and direction for their lives and for the ministry God assigned to them. Bishop Robert C. Blakes, Sr., passed into eternal glory on Thursday, April 11, 2013. He was a man of much love and great faith who believed strongly that “with faith all things are possible.” He not only preached love and faith but lived a life that demonstrated compassion and conviction to his mission of serving God’s people.